Rev. Isaac Boluwatise is an articulate and probing minded minister of the gospel, who just started a new work in the ministry, The Light Tower Church. He also lectures at the LIFE Theological Seminary of the Foursquare Gospel Church, Nigeria. In this interview with our Editor-In-Chief, Oladipo Emmanuel, Rev. Isaac talks about what he perceived on the just concluded general elections in the country, the roles of the church in government, and the need to accelerate the spread of the gospel. How would you describe the just concluded general elections in the country Sir? I will define it as a divine intervention in Nigeria affairs. Objective minds would agree with me that we have come to a point where it was like we were stocked: it is not there was no activity and not that the government was not working, but the mobility and the progress that we need in Nigeria are not there at all. An average person on the street is frustrated: the way the elections happened can only be God. We heard people saying, on the street, that change has come. Of course that was the slogan of one of political the parties during the campaign, but beyond political sentiment or whatever, it is obvious that God had started a new thing in Nigeria: Change has come. God made it to happen? To say it was a happenstance would be an attitude that does not appreciate God at all. If you know of the tensions in the system before the elections came, we cannot say that it was a coincidence that there was peace – it was God, because things would have been worse. People were already afraid: a number of people were already thinking of alternative arrangements for safety, but God beat their imaginations and things worked out well. It was God; it was not coincidental – at all. It was reported that some so-called ministers of the gospel travelled abroad with their families, while some only took their children abroad – regarding the possibility of the conflicts that might breakout during and after the elections. Would you please share your opinion on why those ministers could do that? I never heard of anything like that. Are you talking about government ministers or ministers of the gospel? Ministers of the gospel Sir. church, today, for their comforts: conscious of their comforts – they are not in touch with the infirmities of the people, they don’t even know what an average person, in a grass root, is passing through. How do you say that to them (the congregants), when a Pastor they are looking up to becomes the person who is running away: who will be there for them in times of need? Even in those days (as youths) when there was an uprising in school and the school authority divided our department so that exams could happen peacefully: many of us still have to stay because our brethren who were on campus might need us. I think it’s not a justice to the gospel at all. It’s a confirmation of what an average person (on the street) thinks about ministers today, that ministers are into it for business; they are not concerned about the people. They are there for their belly: their comfort is their pursuit. If my members are here: I should be around too. Sir you said that when there was conflict in the school and the management divided the department for a peaceful examinations that you and some other people have to stay. Was it because you were involved in school fellowship or what? We have to stay because we were leaders in the campus fellowship. The fellowship was not operated (due to the management’s directives), but we understood that we have spiritual oversight – should the people need us for anything. Some Christians always say ‘I vote for Christ’. What would you like to tell people in that category? Some of those spiritual clichés in the church can be very-very offensive, and some of us who like to be free attack things like this. Now, let’s leave the Nigerian system and go back to the scripture in 1 Corinthians: we read about the case of division in the Corinthian church, planted by Apostle Paul. While Paul was away – working in the cause of the gospel elsewhere, report came to him about the division in the Corinthian church (where some said they belonged to Paul, others said they belonged to Cephas, and some others said they belonged to Apollos, while some say I belonged to Christ). When I was growing up, I usually think that those who are more spiritual are the people that said they belong to Christ in the congregation at Corinth until I became more knowledgeable about the scripture that I knew they were all the same. In fact, the possibility is there that you will consider those who said they belonged to Christ among them to be the proudest. they should be. The spirit of the Lord teaches you; the scripture informs you. I heard a few people saying they vote for Christ, and I think it was very-very stupid (if you don’t mind my use of language: that’s the best way I can describe this orientation). You cannot be voting for Christ when we are voting for leadership in the country. If the church teaches that we have duties toward the civic governance and solidarity toward the society, it becomes important that we, as Christians, should be practically get involved. If you say that you are not going to vote, but rather you would be voting for Christ – it is feigning the spirituality that is not even there at all: it’s an insult against the cause of the gospel. You shouldn’t say that to the world. It has been argued overtime that religion and government should be separate entities. Does the scripture implore Christians to obey government authority? separation must be there. The separation does not mean that we are not part of the society: we owe duties and obligations to the government and the contemporary church must understand this, because at the time when that instruction came from the scriptures, 1 Peter, was at when the church was suffering to an extent. Bible said submit yourselves to every institution that be, and they cannot be without God. For example a Christian, especially minister of the gospel, is stopped and would be detained because he is not with his particulars during a stop and search operations. Then he says to the officers that he is a minister of the gospel, therefore, he should be allowed to go. That’s fraudulent. It worked that day; it may not work another time. There was a time that I was part of Peace Corps. I didn’t want to be part of it but I was talked into it. I never attended the meeting but always paid the dues. The system then was that we put the sign on the dashboard so that nobody questions, but it got to a time – I removed it. If they want to search me, let them search me. Why did I do that? There was a time that somebody told me ‘that is how you will be putting it there too’, and I determined that day that anytime I’m stopped I will not say that I am a minister of the gospel. I’m a citizen of Nigeria: if you now ask me what I do, I will tell you. We should not use what we do to swindle. When you know that you are in error, let them find out that it was a sincere mistake and let them overlook it for you to go. Let the issue of being a minister becomes a secondary reference: allow discussion to lead to that. When you start with being the minister of the gospel, you are rubbishing other ministers, because there are law enforcement agents that are not reasonable like the ones that minister met that day. Some would insult you, and ask if being a minister of the gospel says that you should not have your particulars with you. We need to present ourselves as citizens of the country, especially when we are intercepted by law enforcement agents. Let it show that we are law abiding. Don’t you have your papers? I don’t have it. Why don’t you have it? I forgot it. How can you be claiming that you forgot? Sincerely I don’t make this mistake. What do you do? I’m a Pastor. That’s how you people will be…: Well I’m a Pastor and not everybody. But we need to make sure that we respect the gospel: it is greater than us and we cannot be using it as camouflage to cover our wrongs. The person that owes government a duty is everyone under the government. I don’t care if you are the great Bishop in the land unless in a system like the Great Britain, where the Christian Leaders are considered to still be part of social leaders. You won’t stop an Arch-Bishop of Canterbury on the road, especially when you know that he is the one coming. Unless in such cases, you cannot use being a minister as an excuse not to obey the government: we all have a duty to the government. Are there other ways than obeying the government in which Christians could contribute to the development of their country Sir, especially Christians in Nigeria? The cause of the gospel is an advantage to the human society. When we say to people, give your life to Christ, and God loves you: He has made the provision for your salvation, and a man believes that and got saved. What happens to him? His life is transformed. If you were an unbeliever and I also was one, then we got saved: our lives are changed and we now think the Christians way and begin to love individuals accordingly. Imagine the gospel spreading across the entire world like that: it would be better for the society. So, you will discover that inside the nuts of the gospel is also the duty of social transformation, and the church has the responsibility to transform the society. The scripture I will use here is Acts 1:1, when Luke was writing the records of Acts to Theophilus. When you obey the government, you also teach the people how to obey the government. Let your life be an example, let the church be a voice. Teach it: don’t just obey the government. Let the church cry out loud where things are not appropriate. I’m getting passionate these days, but I don’t want to stress myself beyond my limit, and I thank God for the opportunities and the possibilities that He is giving us. If I have access to the incoming government, one of the areas where I will like to advice is that the government should look into the reform of the civil service. People call themselves civil servants and they are not serving anything. The church must be a voice; we must teach our people within the church to represent Christ everywhere they are. When we do things right, we affect the people in the society too. As we preach the gospel, social transformation is part of the drive that should be behind our minds. Let us digress a little by looking at ‘who is Rev. Boluwatise Isaac’. have been in the ministry, and over the years it’s been quite interesting. There have been very-very tough times: there have been very-very wonderful times too. A number of misunderstandings are coming in today, and some people need to cry out loud and insist on the truth as we found in Jude 23, because it is the truth that makes us to be more like Christ and do our best for God. I have found something fascinating that the joy in the ministry is not in what you are socially or materially, but in the impact that you make in the lives of the people, which could only be as a result of the group of people that are working with you. I was a Pastor boy, and growing up was a bit fascinating. Just like my own story – it was beautiful times; tough times. We don’t have much of what we would love to have in those days. My dad wasn’t rich. I was a teenager when I decided that I was not going to have anything to do with the gospel at all but over time, I looked back and I appreciate the upbringing that I received. My dad was very strict, I was telling my son recently and he was smiling. I’m not the best of persons, but I think that the little people see in my life makes them to commend me. You just started an entirely new work in the ministry. What gave birth to the new work Sir? The drive for this new work, apart from the clear cut words, is from the eschatological scriptures that talk about the last days and the roles of the church. Luke 1:79 says that when Christ came He was to be the light to those that sit in darkness, so that He may provide guidance for them in the way of peace. Matthew 4:16 tells us that He came as the light to those who are in darkness, and is revealed as light to those who are in the regions of the shadow of death. Jesus will come very-very soon, but we don’t know when it could be. There are still a number of pending things. The truth is being bastardised. A number of people know the words but they don’t know what it can do: a number of people don’t know the words talk-less of what it can do in their lives. Many people are walking with the Lord, but they have not received the liberty that will make them become all that God wants them to be, and that is part of the drives that we have for this work. In Isa 2:2, the scripture says now it shall come to pass in the latter days that the mountain of the Lord’s house shall be established on the top of the mountains, and shall be exalted on the hills. It’s saying that the church is going to have visibility. It’s not going to be the political strength that some people are thinking or in the military might, but it’s going to be in the might of the gospel. The gospel is the power of God unto salvation. Souls will be saved; the church will be visible; and the gospel will be preached around the world. 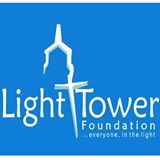 The Light Tower Church came to make her own contributions in the direction which the Lord has given to us. In addition to that, the church is the agent representing Christ on earth, and anything you want to do on earth, today, must be based on the church. One of the errors today is that some people believe that the church has failed, but no matter how the church has failed – the church still remains the agent that Christ is using on earth. The para-church organisations that we have, still, cannot do it as the church would do it. The church is the body of Christ on earth, and we are trusting in the Lord to do all that He will allow us to do by pushing the gospel around the world before the end would come. You are obviously a busy person, but how do you relax Sir? Of course sometimes you say that you work all nights when it is time to discuss the gleanings, and that you are tired – you will need to relax a little. lot of people. I need to seek the Lord’s face to have directions for the future; I need to hear from Him (God) so that I can speak to the people. All this makes me to be busy. I love to pray, I love to read, and I love to write. Any advice to the church Sir? gospel. You know when we understand that the church is not in this organisation that we are trying to protect, we will be at peace. The church is an organism, alive. It receives its life and directions from Christ; Christ is the head. To be thinking that the church will be mistreated is to say that Christ is dead, it can’t. I will build my church, beyond what we can do, and the gate of hell shall not prevail against it. So, we should busy ourselves with what Christ has committed into our hands instead of running after political arrangement that makes us to be guilty of what we are accusing the world of. Okay, thank you very much Sir for granting me the audience and I will like to say that you look good. Thank you, I appreciate it (Smiles). This is the perfect web site for anybody who hopes to understand this topic. You realize so much its almost tough to argue with you (not that I personally would want laugh out loud). You definitely put a brand new spin on a subject which has been discussed for years. Wonderful stuff, just great!